A Full Service Communication Provider offering analysis, consultation, sales, service and ongoing maintenance to meet all of your communication needs. We provide a broad array of wireless communication solutions to help small, medium and large size businesses serve their customers better, control costs and improve productivity. We welcome your interest in our employment opportunities. The experienced Communications Consultants at WirelessUSA® have the knowledge and resources to provide you with a broad range of communications solutions. WirelessUSA® partner with Lease Corporation of America to offer a variety of financing and leasing options to make purchasing your communications equipment a snap. Get maps and interactive driving directions to our store. WirelessUSA has 8 Service Centers in Missouri and Illinois. Our service area covers 42 counties in Missouri and 22 counties in Illinois. To help us serve you better, please rate your recent experience with our services and products. Looking for information on Motorola two-way radios? Find over 400 of the latest White papers, Case Studies, Spec Sheets and Product Brochures. 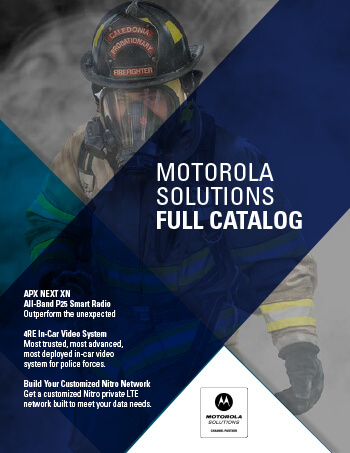 Watch the latest product release video from Motorola Solutions. Find out about the latest two-way radios and hottest applications. Over 100 videos available.